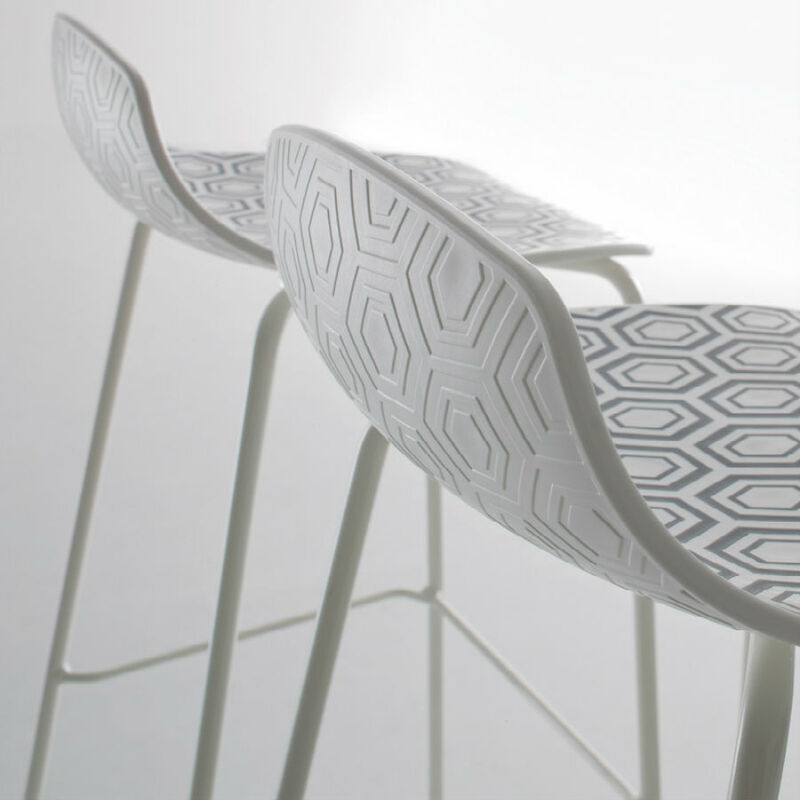 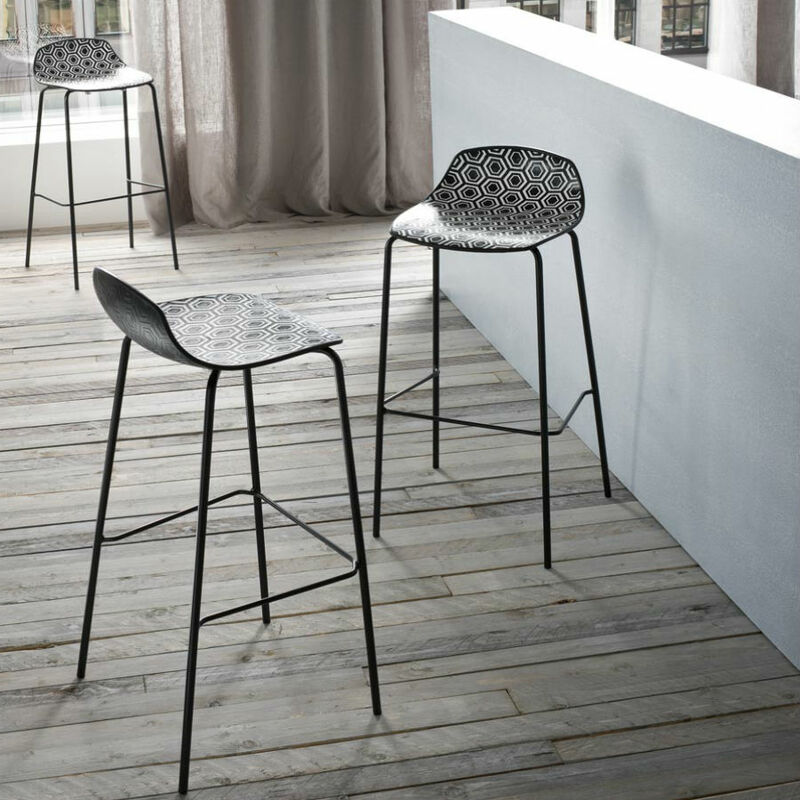 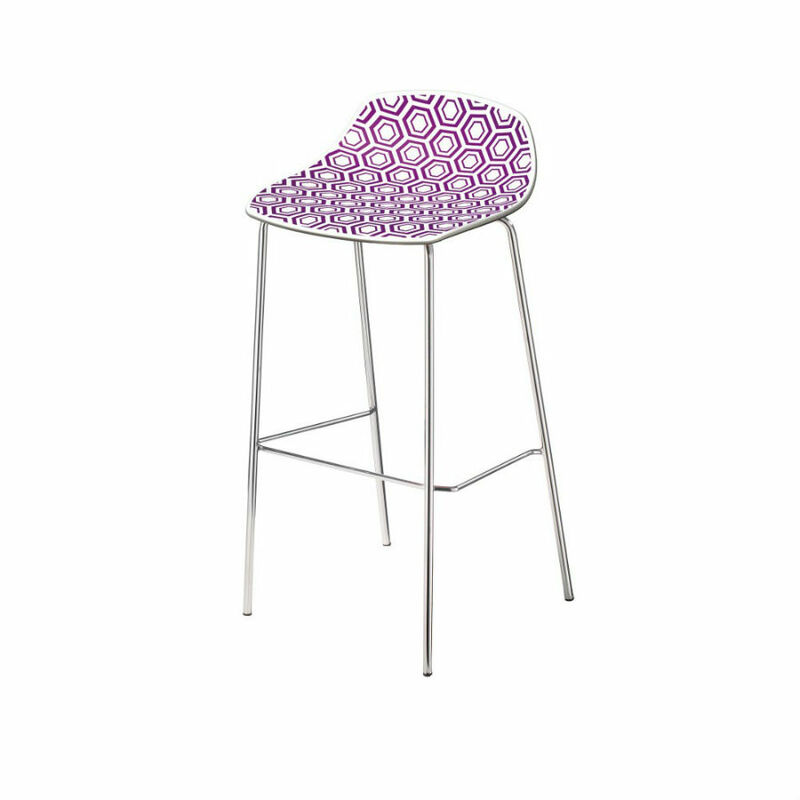 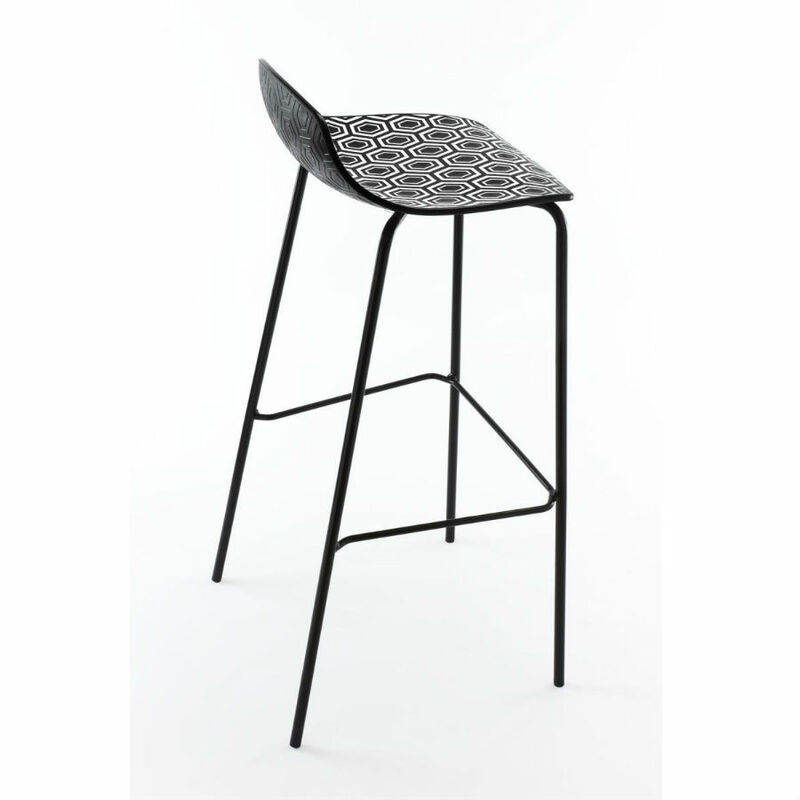 The unique style and harmony of the geometric texture that draws its surfaces gives Alhambra stools & chair collection have a strong personality and an unmistakable sense of beauty through form, thanks to the development and application of an innovative patented production process. 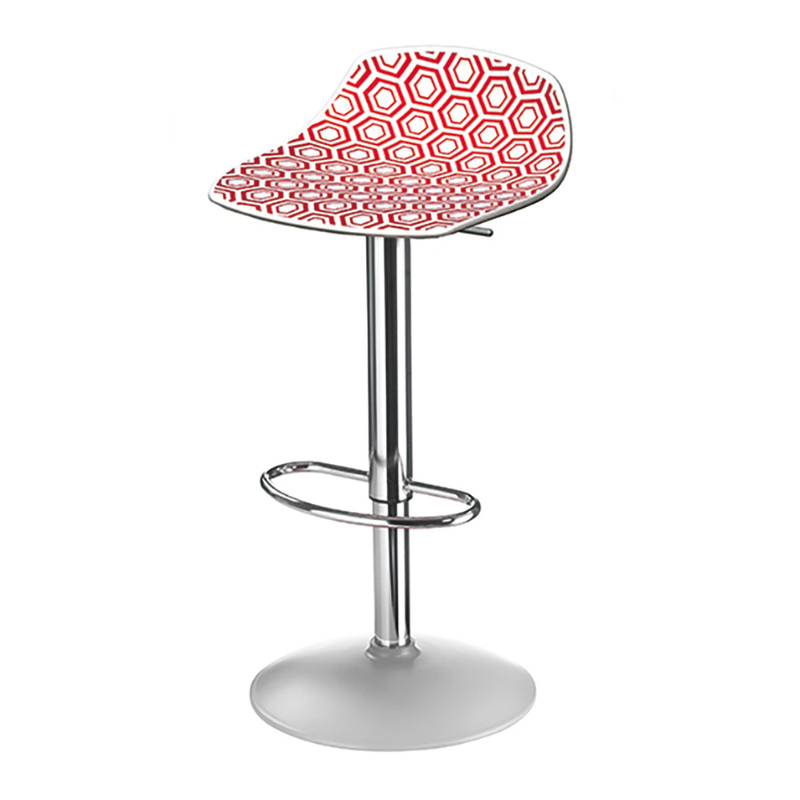 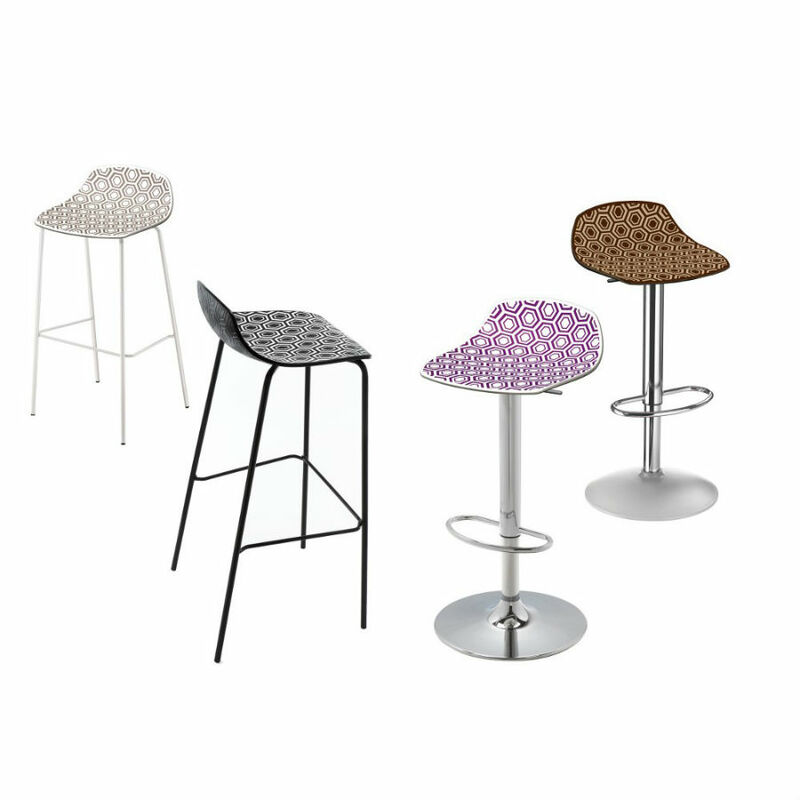 Alhambra seating is made of multi-colored technopolymer shells which fit different frames, creating highly personalised barstools suitable to match all manner of concepts and surroundings. 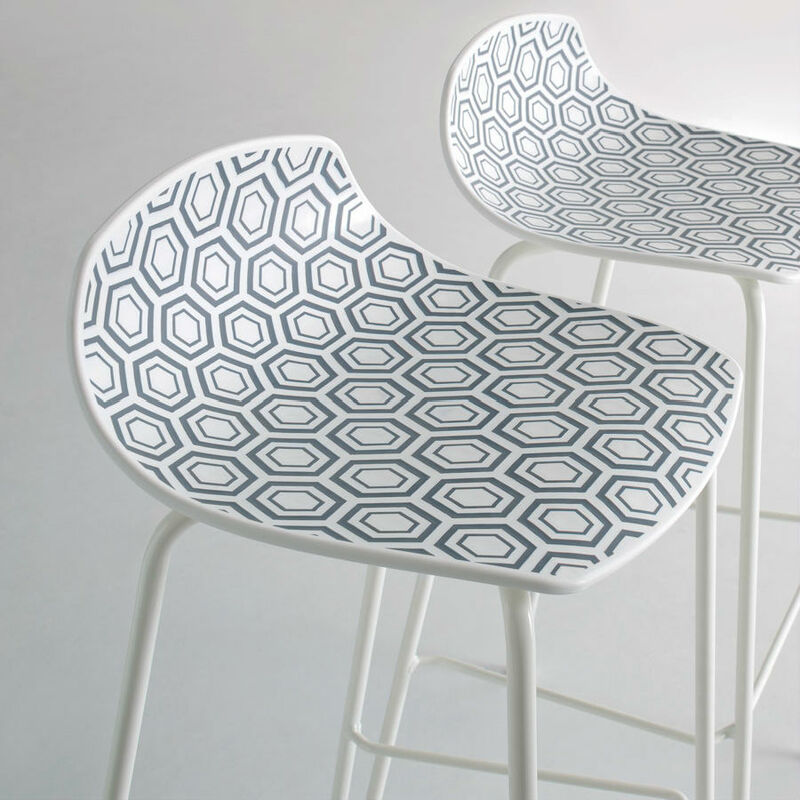 The collection is enriched by the new version Alhambra XL Stool, with more generous sizes, made with a new sled frame, to compliment the four legged and tulip base option, matching Alhambra chairs complete the look.